‘Lost Visions’ is an AHRC-funded project led by Professor Julia Thomas in the School of English, Communication & Philosophy, Cardiff University. It attempts to tackle the challenges of big-data by working with more than a million illustrations from books in the British Library’s collection. Although many historical texts have been digitally stored, the illustrations in these texts are frequently without the information needed to help people understand them. The Cardiff team will devise methods that will enable the collection of illustrations to become fully searchable via an online database. At the workshop in Cardiff, we were introduced to the scope and the challenges of the project, as well as the early version of the online database itself. Julia Thomas explained the vast dataset given to them by the British Library, with over 65,000 mixed-genre volumes c. 1528 – 1946, with the majority from the eigtheenth and nineteenth centuries. This gives a total of about 1 million illustrations in the database. Ian Harvey then gave us an introductory demonstration of the database in its current form, and Nicola Lloyd explained the many research applications that the database has already had for academics at Cardiff, but also beyond. Ian Harvey then spoke in more details about the implemetationa challenegs faced so far in the project, not least the vast amount of images and the missing or inaccurate metadata that came with them. He demonstrated how dates, page numbers, and even names of illustrators need adding and/or correcting. They plan to use crowd-sourcing to encourage users (whether academics, teachers, or the general public) to tag images and help make the database more easily and accurately searchable. After coffee, we all had chance to try out the search functions and the tagging. The closing roundtable discussion was full of praise for the project. It was noted how important it was to focus on visual culture when so many digital projects were text-based. It also became clear the ‘Lost Visions’ will enable us to rethink the author/artist hierarchy, especially in the context of the eigtheenth and nineteenth centuries. The full database will be launched in March 2015, and once it has been launched RIN members are encouraged to try searching and tagging for themselves. The following resources were suggested by Paul Barnaby, Project Officer for the Walter Scott Digital Archive, which draws upon the collections of Edinburgh University Library. This is an image library of just over 1000 illustrations to the works of Walter Scott and other Scott-related publications. It is part of a larger site, the Walter Scott Digital Archive. 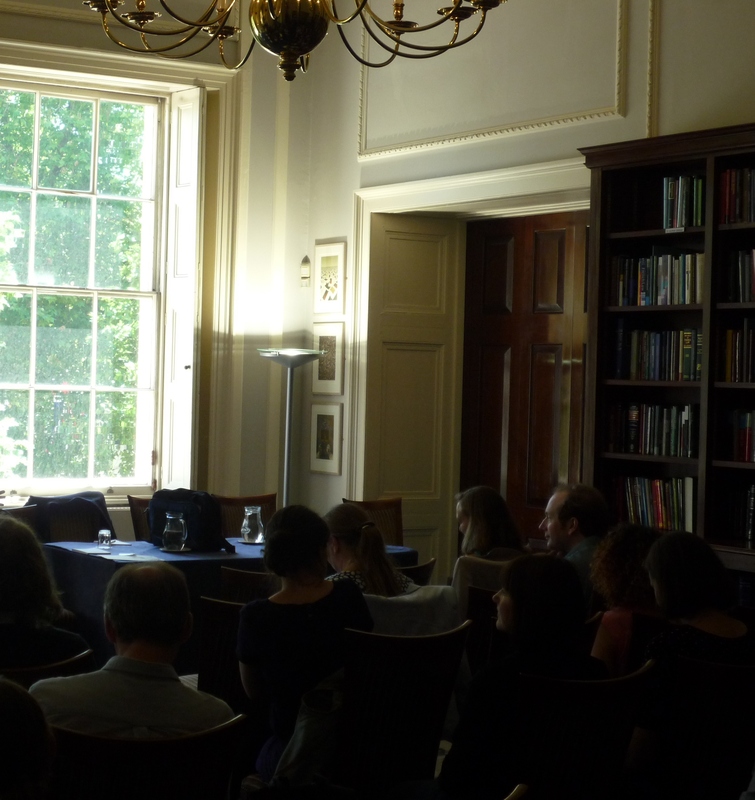 The Romantic Illustration Network held its opening event at the British Academy in London last Friday. Leading and emerging scholars of eighteenth- and nineteenth- century visual culture gathered to discuss the materiality of the visual image and the printed text, in the beautiful surroundings of the British Academy’s Lee Reading Room. 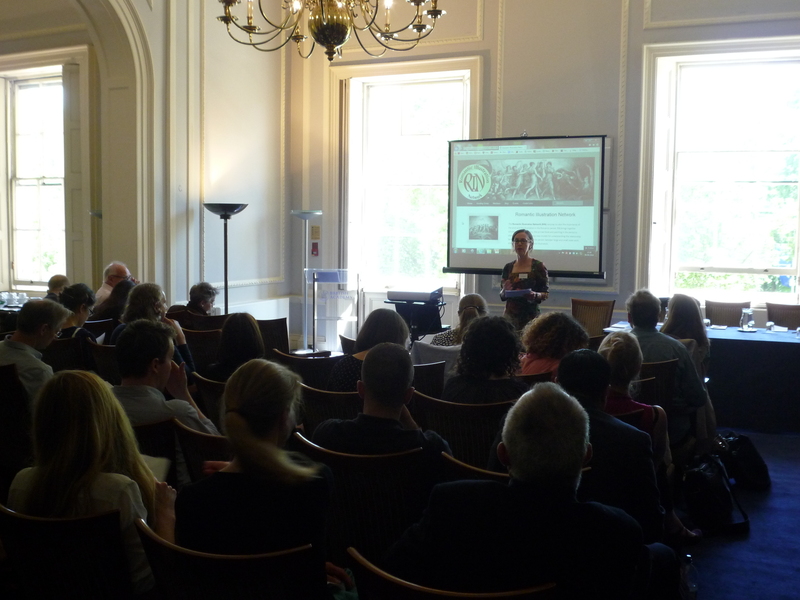 Susan Matthews (Roehampton) welcomed attendees, and used the OED’s definition of ‘illustration’ to suggest that the term itself is odder than we have come to believe it is. She pointed out that in the early nineteenth-century the word was used regularly in both its visual and its verbal senses, and proposed that the world of book illustration is one which is less straightforward than one might initially think. This theme of the inter-relation of text and image in the illustrated book was picked up by William St Clair (IES, London) in his paper ‘Towards a Political Economy of Book Illustration’, c. 1800-1820. St Clair showed us how a focus on literature and art as material transactions can move us away from notions of ‘cultural emanation’ or ‘influence’, if we ask questions such ‘who had access to which texts at which time?’ and ‘how did images get from producer to consumer?’. He argued that expected demand, rather than supply, drove the publishers’ offerings of illustrated books. St Clair brought items from his own collection to display as a mini exhibition during the symposium. Brian Maidment (Liverpool John Moores) took us into the next part of the century; he surveyed ‘Comic Illustration in the Marketplace 1820-40’ through a close reading of a series of comic caricatures, prints, and illustrations. 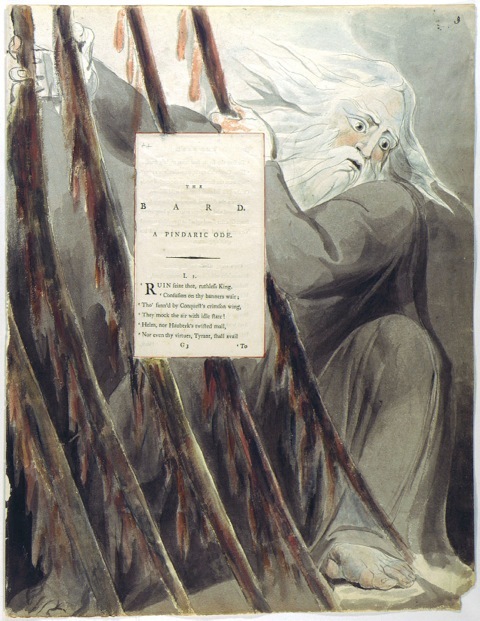 He emphasised that the Victorians did not invent the serialised illustrated magazine, and that examples from the 1820s and 1830s are under-researched and understood. He also discussed questions of the democratic nature of popular serial culture, and made the point that any discussion of visual radicalism needs to recognise the willingness of artists such as Robert Seymour to work in multiple kinds of publications for money. Moving into the Victorian period and digital materiality, Anthony Mandal, Julia Thomas, Nicky Lloyd, and Michael Goodman from Cardiff’s ‘Centre for Editorial and Intertextual Research’ presented three digital resources: the Database of Mid-Victorian Illustration (http://www.dmvi.org.uk/), the Victorian Illustrated Shakespeare Archive (under construction), and Lost Visions; Retrieving the Visual Element of Printed Books from the Nineteenth Century(http://cardiffbookhistory.wordpress.com/2014/02/09/lost-visions/). Together these papers demonstrated how practical and theoretical considerations must be tackled in tandem on such digital projects, and how online academic resources can be rigorous and scholarly as well as accessible. The symposium closed with an open discussion which drew together various different strands from across the day, and also pointed towards profitable new lines of inquiry, before we all headed for a sociable drink nearby. Apart from the lively buzz at the event itself, if such Network-building events are to be judged by the resources shared and the connections made, then RIN has got off to a productive and promising start.